UU A Way Of Life: Is winning the only thing? How about fair play? Is winning the only thing? How about fair play? 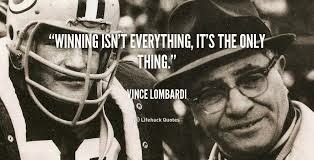 Vince Lombardi, the former coach of the Green Bay Packers, has been credited with the slogan of UCLA Bruins coach, Red Sanders, "Winning isn't everything, it is the only thing." Many young people in the United States have been taught this ethic. Win at all costs. Competitiveness, always being right, never giving in for fear of being taken advantage of or seen as vulnerable, are not only preoccupations of Americans and the basis for the perverted view known as American "exceptionalism," but are contrary to the second principle of Unitarian Univeralism: justice, equity, and compassion in human relations to which we all pay lip service and then behave in our society quite differently based on contradictory norms. My son was playing high school football and I heard he and his friends discussing the coaching directive to "hurt" your opponent when you block him or tackle him so he is intimidated. When I questioned these young men about this instruction, they insisted "that's how you win games." "By maiming your opponent?" I said. "You are deliberately trying to hurt him?! What happened to good sportsmanship and the love of the game well played?" "That's what Coach told us," they all insisted. "If you hurt them, they will be intimidated and not play so hard, and you'll win games." "Really?" I said. The coach was known as a born again Christian and attended one of the Pentecostal churches in our town. I scheduled an appointment to talk to him. He sheepishly denied everything and I could tell he was guilty as charged but couldn't be honest and admit it. I said, "Listen, Coach, your players are getting this message from somewhere." "All I do," he said, "is encourage them to do their best." "Doing your best I hope doesn't include playing dirty. If this is the basis of your football program I don't want my son playing, and I don't want any other kids playing as well. Perhaps, the coaching philosophy of this school is a matter that I should bring up with the school board," I said. "This school takes great pride in its winning teams. A couple of the school board members are former players of mine. They have been the recipients of our coaching philosophy. You don't need to worry about this any more. I will talk to my assistant coaches and the players and correct any misunderstanding," said coach. Predatory capitalism also puts an emphasis on profit at all costs ignoring the external negative affects of the business practices to the environment, human rights, and the well being of the communities in which they operate. Google "mountain top removal" and see what the coal companies have done to the Appalachian mountain region of the United States and the communities situated in those areas where this mining occurs. We, consumers, have contributed to the injustice, and inequities by buying cheap goods at Walmart to save some money overlooking the long term effects of these bargains on the injustice, inequity, and disrespect for the people and communities who produced those cheap goods. It is one thing to talk a good game promoting and affirming justice, equity, and compassion and quite another thing to play it. It is this hypocrisy, often unrecognized and unacknowledged, that is destroying the environment on the planet, as well as a sense of well being in our personal lives as evidenced by the epidemic of depression, anxiety, substance abuse, suicide, and meanness in our communities and society. Listening to and watching our media, radio, TV, tabloids, internet, etc. we are not longer surprised at the scandal, the subterfuge, the tragedy of the day which will last about 48 hours for the news cycle until the next injustice, inequity, disrespectful thing breaks the news, and we can all tsk, tsk, and feel better because we are bad, but not as bad as that. Are we playing to win or to be fair? Do we always need to be right or can we admit our mistakes? Do we need to ignore and look down on people who upset us, disgust us, annoy us, and threaten us or can we consider how God looks at them and extend some forgiveness and compassion? These are our challenges as Unitarian Universalists. This is what the second principle calls us to do. The ethical imperative of the second principle is so counter cultural, so foreign to the endemic ethic of exceptionalism of Americans that we UUs are the outliers in our culture. We do not fit in. It is very difficult to be committed to our faith and abide by the implicit norms of our society at the same time. Would that we, and the rest of society, could rise to our level of understanding and functioning to which we aspire. The norms and expectations of the work world especially in corporate America are often at odds with the seven principles. 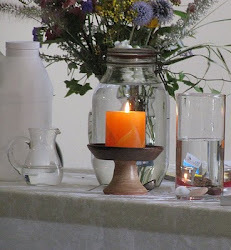 This places Unitarian Universalists in conflicted positions of hypocrisy being torn between the principles which they sworn to affirm and promote and the expectations, rules, and practices of the organizations and work they must perform. How could a good UU who works in the medical field deny a patient truly in need medical care just because the person doesn't have insurance and can't pay for the service? What ethic should the UU follow, the rules of the health care organization which now days is run as a business or the principles of the second principle calling for equity and compassion? 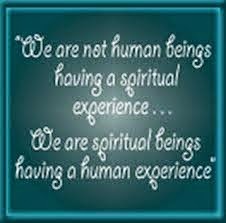 Being a Unitarian Universalist and living a life based on its principles is not for sissies. The beliefs and values that drive predatory capitalism lead to significant injustice, in equity, and lack of compassion as we can see from the melt down of the financial industry. Highly unethical behavior of selling securities and then insurance betting they will fail makes one wonder how people can live with themselves. It's as if there is money in it especially in the white collar world, it must be okay from Enron, to Arthur Anderson, to Bear Sterns, etc. Do you suppose an Unitarian Universalists or other "good Christians worked for these corporations and carried out any of their unethical practices?